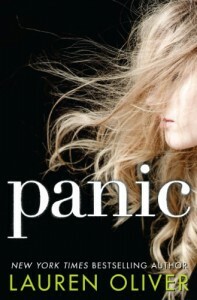 Check out shal's review of Panic! "I wanted to read Panic because I adored Lauren Oliver’s Delerium trilogy, and even though this one sounded different, I liked the direction it was going in. The idea of this big game and stunts, and where these two characters could face such things and possibly fall in love along the way intrigued me. Coming from a small town myself, it seemed realistic, and it very well could have been some town tradition that went on there."